Happening this Friday, a new MSU Teachers 'Toastmasters Club' will hold its kickoff event. 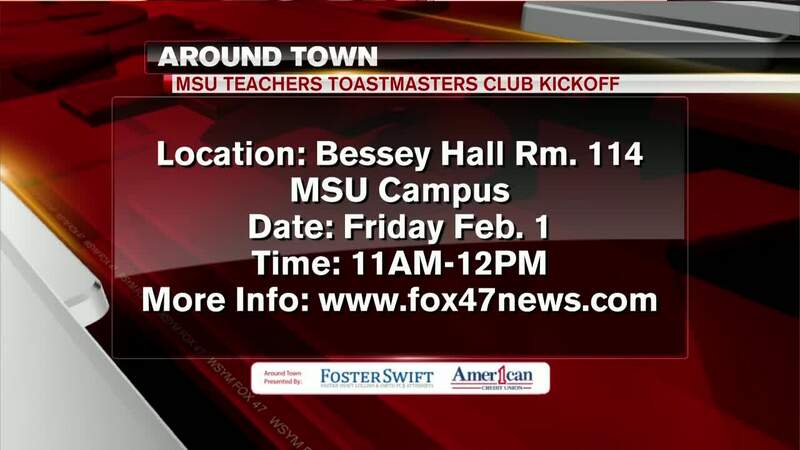 EAST LANSING, Mich. — Happening this Friday, a new MSU Teachers 'Toastmasters Club' will hold its kickoff event. Friday's event will feature two upperclassmen from MSU. They'll showcase how the club helped their communication and leadership skills. The kickoff will be held on campus at Bessey Hall. It runs from 11 a-m to 12 p-m.